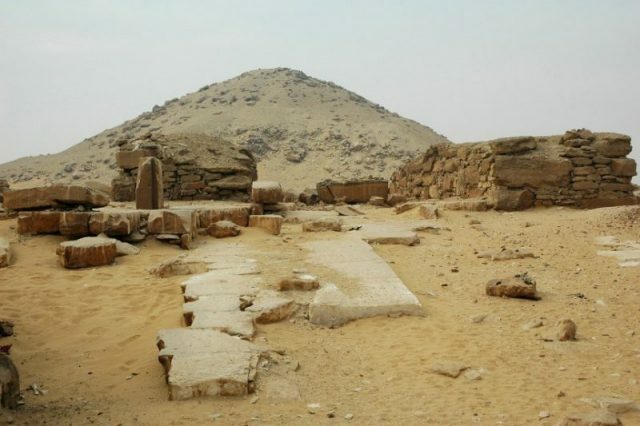 A tomb belonging to a senior official dating to the Fifth Dynasty in Ancient Egypt has been unveiled around 20 miles south of Cairo. The newly opened necropolis contains vivid colored reliefs and well-preserved inscriptions painted in a special green resin that has kept its pigment over the last 4,300 years. The tomb is near Saqqara, a vast necropolis. “Ornate paintings boast a special green resin throughout and oils used in the burial process,” the antiques ministry said in a press statement, as reported in the Times of Israel. The north wall of the tomb suggests a design influenced by the architectural blueprint of the Fifth Dynasty’s royal pyramids. 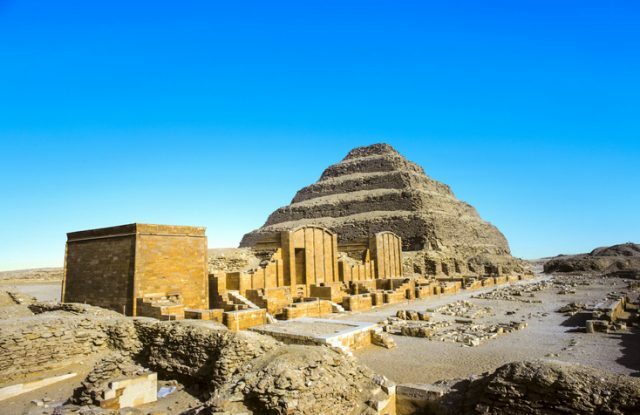 The art of pyramid building was developed Fourth Dynasty. The frescoes inside the tomb depict men in boats, servants bringing food and drink, and birds, all skirted with decorative borders. Queen Setibor was the wife of Djedkare Isesi. The pharaoh. 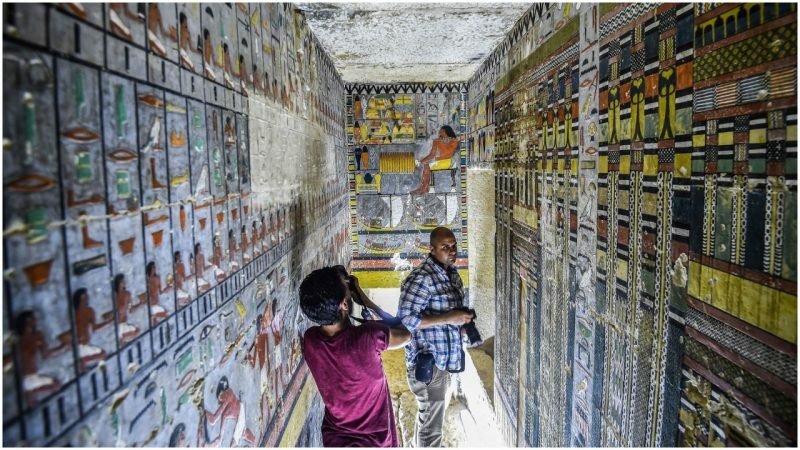 who reigned for nearly 40 years between 2414 BC and 2375 BC, is considered to be one of the most important rulers of Ancient Egypt, largely as a result of his religious reforms, according to Egyptologist Ahmed Saleh, Egypt Today reported. Unlike other Fifth Dynasty pharaohs, who worshiped the god Ra, Djedkare venerated Osiris, especially when it came to funeral rituals. The pharaoh was also known for giving power to rulers around Egypt, weakening the authority of the centralized administration. The Fifth Dynasty is often combined with Dynasties III, IV, and VI under the group title the Old Kingdom. During this dynasty, Egyptian religion made several important changes. The earliest known copies of funerary prayers inscribed on royal tombs appear. 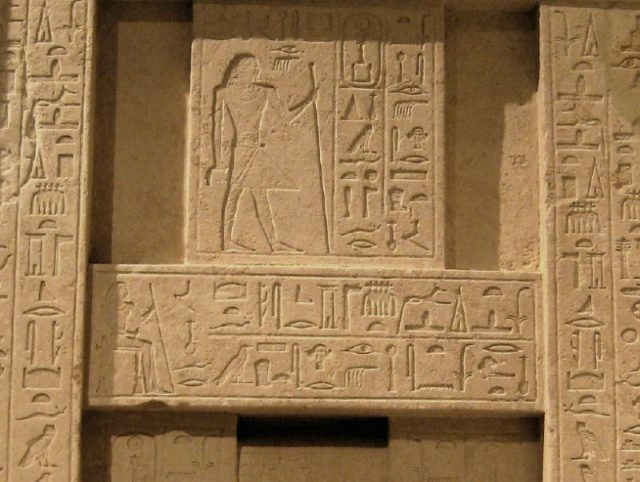 The cult of the god Ra gains added importance, as kings built temples dedicated to Ra at or near Abusir. Late in this dynasty, the cult of Osiris became important, most notably in the inscriptions found in the tomb of Unas. This was the case with Djedkare Isesi. It is not known who Djedkare’s parents were. He may have been either a son, a brother, or a cousin of his predecessor, Menkauhor. The identity of his mother is unknown. This pharaoh was known to have had important courtiers, or viziers, whose tombs have been identified in Giza. For example. a courtier named Saib held the positions of director of the palace, and was secretary of the House of Morning. 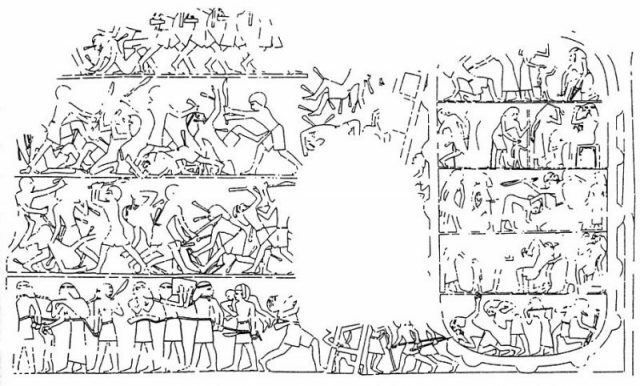 Saib was buried in a double mastaba. He may have shared this tomb with his wife, Tjentet, who was a priestess of Neith. Nimaatre was another palace attendant of the Great House, who also served as secretary of the Great House.